Hailey Colborn competed at the Miss Kansas USA & Teen USA 2015 pageant where she placed as a semi-finalist. She also competed at the Miss Kansas USA & Teen USA 2016 pageant where she placed as a semi-finalist. She also competed at the Miss Kansas USA & Teen USA 2018 pageant where she won the crown, walked away with the title of Miss Kansas Teen USA 2018 and received the opportunity to advance to the Miss Teen USA 2018 pageant. Scroll down to see other pageants has competed in and how she placed. She also competed in and won the Miss Teen USA 2018 title. 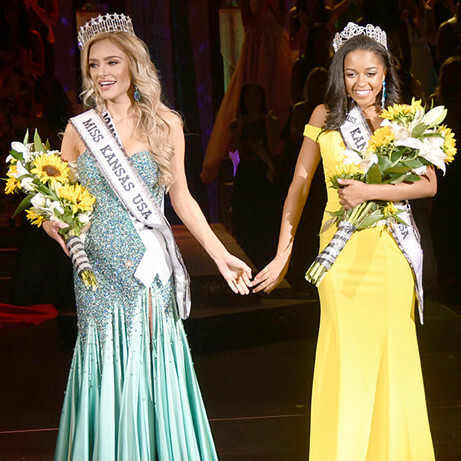 Miss Teen USA 2018 was the 36th Miss Teen USA pageant. It was held on May 18, 2018 at Hirsch Memorial Coliseum in Shreveport, Louisiana. Sophia Dominguez-Heithoff of Missouri crowned her successor Hailey Colborn of Kansas at the end of the event. Hailey started a mentorship group titled SelfPosi where she travels to middle schools around the school district to mentor and talk to girls about the importance of self love, a cause close to her heart. Not only was she accepted to Yale University, but she was one of 799 students in the world to be granted early admission to Princeton University where she will be studying political communications in the fall. Hailey has been a dancer since the age of three. She received classical ballet, tap and jazz training. Which College Did Hailey Colborn Attend? Hailey skipped 5th grade and graduated high school as valedictorian of her class! Not only was she accepted to Yale University, but she was one of 799 students in the world to be granted early admission to Princeton University where she will be studying political communications in the fall. She has hopes to be a political journalist, strategist, or possibly a politician someday! 2. As a self-proclaimed book nerd, Hailey always has her nose in a book. She particularly loves anything written by authors F. Scott Fitzgerald or Toni Morrison. 3. When she was younger, Hailey was shot by a firework and she has a scar on her hip to prove it! 4. Hailey started a mentorship group titled SelfPosi where she travels to middle schools around her school district to mentor and talk to girls about the importance of self love, a cause close to her heart. 5. Hailey has been a dancer since the age of three. She received classical ballet, tap and jazz training. Hailey Colborn is Miss Teen USA 2018!